Can I have some info on Mayan ruins that might be within range of Cabo? Great question – we get this one a lot actually. Unfortunately, Cabo has no Mayan Ruins. The ancient Maya were located mostly in the southern part of mainland Mexico – including the Yucatan Peninsula and extending to Belize and Guatamala. (The Aztecs did not populate the Los Cabos area either. They lived in central mainland Mexico). If you are looking for Mayan ruins, I would suggest vacationing Cancun, Playa del Carmen, Cozumel or somewhere else along the Riviera Maya. Chichen Itza, Tulum and Coba are all popular Maya Ruins that you can visit from there. If you are set on traveling to Cabo, I would suggest looking into taking a tour or driving to see the cave paintings further north. Note: these are far away (around 10 hours from Cabo) and best done over several days. You could even take a flight between Cabo and Loreto and take a tour from Loreto. 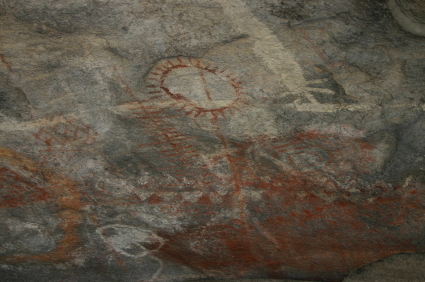 Most of the Great Mural Rock Art is near the Baja California Sur/ Baja California border. Want your question answered by All About Cabo? Contact us!